Lake Tahoe was once used as a mob dumping ground. Aplace to dispose of bodies or their parts. Lake Tahoe is 99.9 percent pure, with clear visibility up to 75 feet below the surface (despite the rumors mentioned in #2). The average daily evaporation of water from the lake’s surface would serve the daily needs of 3.3 million Americans. Lake Tahoe is the 31st largest lake and the 11thdeepest lake in the world. Tahoe Tessie is the local lake monster. 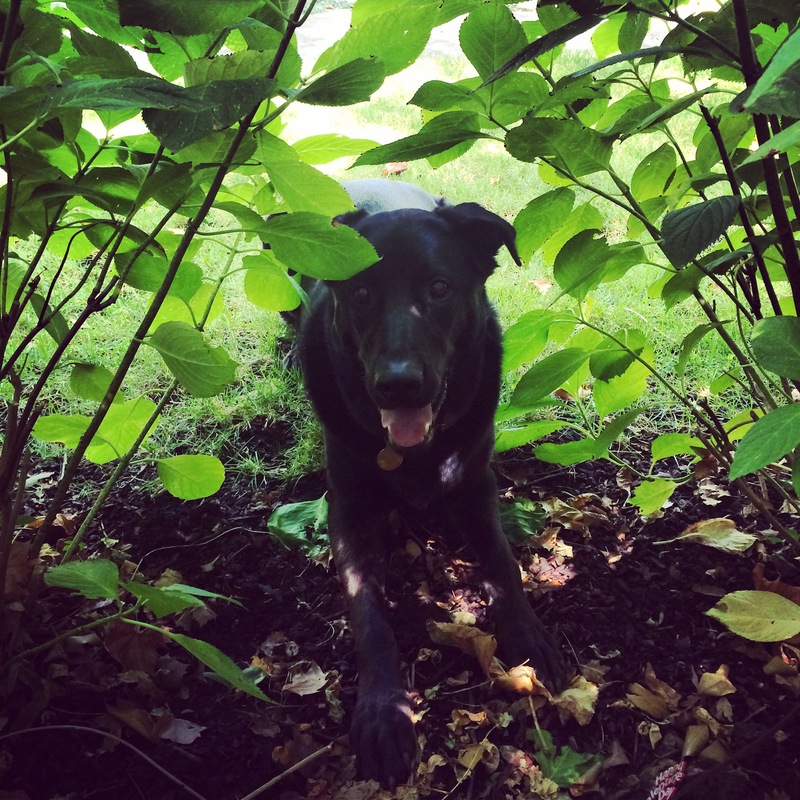 Given the size of the lake, we think Tessie found the perfect home. Lake Tahoe is considered an ancient lake and is counted in the top 20 oldest lakes in the world. The name Tahoe comes from the Washoe Native American name for Lake Tahoe, da ow a ga, which means, “edge of the lake.” Pioneers mispronounced the name and it became “Tahoe”. The lake has the potential to stay as blue as it is for 1,000 years if people “do not increase nutrients and sediment entering it to above natural levels, and if no natural catastrophes occur.” Which is where the Keep Tahoe BlueCampaign comes in. It’s not often we get personal here, but when we saw this article in USA Today, we couldn’t help but share! We love this Tahoe tradition and have been visiting Red Hut since the ’80s. Read more from USA today here. Red Hut is a South Lake classic which has grown from their one tiny california location to a whopping 5 locations in California and Nevada! 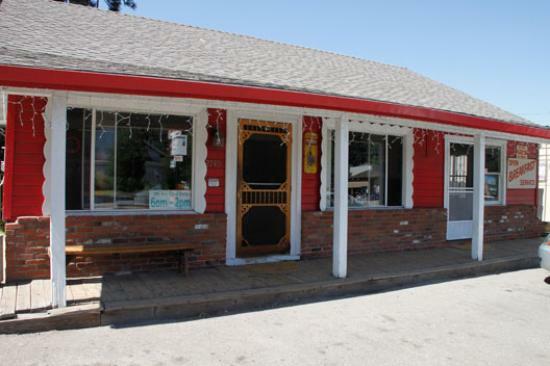 During your next stay in South Lake head on over to the original location on the California side and experience the Red Hut. Just when we thought winter was officially over and many of the summer recreation areas in South Lake Tahoe began to open, an unexpected cold front brought snow to the mountains. This much needed snow storm brought up to 6 inches of the good stuff. Additionally, the region experienced a drop in temperature, breaking a streak that had yielded two months of record-breaking high temperatures. Besides the few days of an unlikely chill, the temperatures in April are predicted to return to normal or what is considered average. While the snow was never quite enough to stick the ground and isn’t enought to provide relief from the drought, it will feed into the ground, just missing the resevoirs. If you were thinking of getting in some last minute skiing, now is the time to do it! 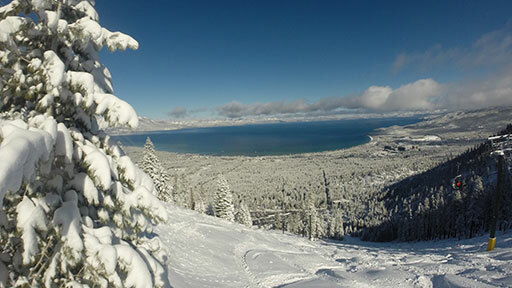 Heavenly Resorts are open in South Lake Tahoe until April 19th, 2015. Check in with RnR Vacation Rentals for las tminute bookings. Proudly introducing, another vacation rental in the Tahoe Keys. 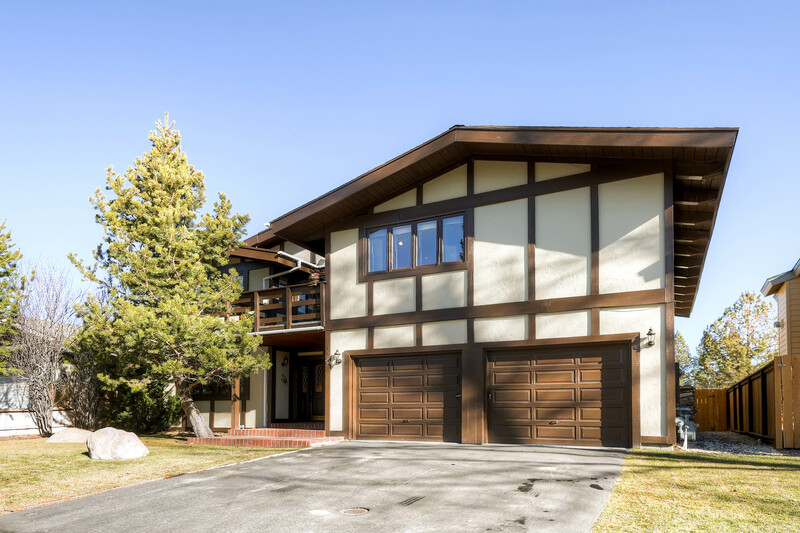 RnR Vacation Rentals has now made the Grand Chalet available for vacationers in the South Lake Tahoe Area. This property is located only steps from the Tahoe Keys beach and has stunning mountain views. The Grand Chalet provides comfortable sleeping and dining for up to 10 adults and children, featuring over 3400 square feet of space for you and your family. The large and open living/dining/kitchen area is truly designed for family gatherings and if you’re looking to retreat from the larger group, head downstairs to the family room complete with it’s own wet bar, HDTV and fireplace. Bedrooms at the Grand Chalet are spacious and beds are ultra comfortable. It feels like Summer time in Tahoe has arrived early. With the little snowfall over the winter and already summer-like weather its safe to say winter is over. This means plenty of warm outdoor activities for you and your furry friends. South Lake Tahoe is full of pet friendly activities from hiking trails to dog friendly beaches, your fur baby can go with you just about anywhere. With the dry summer weather here, there are some things to be aware of while travelling with your pet. 1. More cases of fleas, ticks and lice are being found on pets in the Tahoe area with these warmer winters. 2. Allergies in the Tahoe area can be severe for both pets and people due to the abundance of vegetation in this area. Expect a longer allergy season this year for your pets. 3. Smoke from forest fires and prescribed burns can be expected this summer. Pets can suffer the same consequences as humans from prolonged environmental smoke inhalation. 4. As we get farther into spring and summer, there will be less and less water available in streams that would normally be running. Remember to carry enough water with you when hiking with your dogs. 5. Rattlesnakes are common in Nevada and South Lake Tahoe areas such as Lover’s Leap. A dog bitten by a rattlesnake must immediately be seen by emergency care, but the vaccines may give you a little more time to get to a clinic.